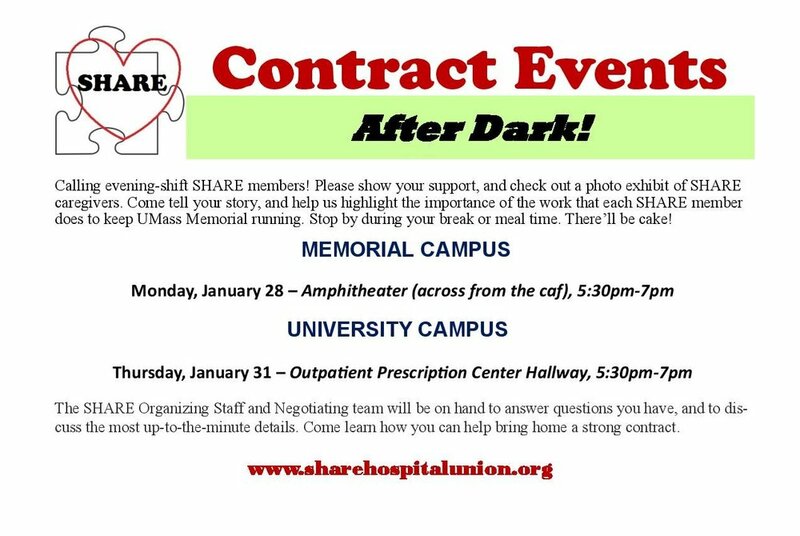 This Week: SHARE Contract Events AFTER DARK! SHARE members in our hospital’s Central Billing Office at 306 Belmont Street support a strong contract . . . and a raise that continues to help SHARE members get ahead financially. Older PostHonoring Dr. Martin Luther King, Jr.